The Colonial Desk Globe features an elegant hardwood base that resembles early American furniture. The diecast full meridian is calibrated and brass plated. 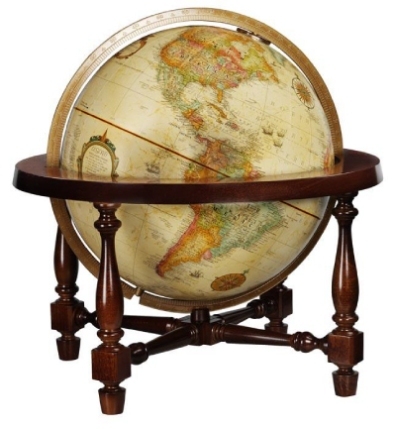 Colorful land masses and an antique finish give this Replogle desk globe a traditional style. Backed by a one-year warranty.